Your home is your castle, inhabited by the people you care about most. You want your security to be unparalleled. Whether you have a large home or a small home, security is important to keep everyone safe from crime. 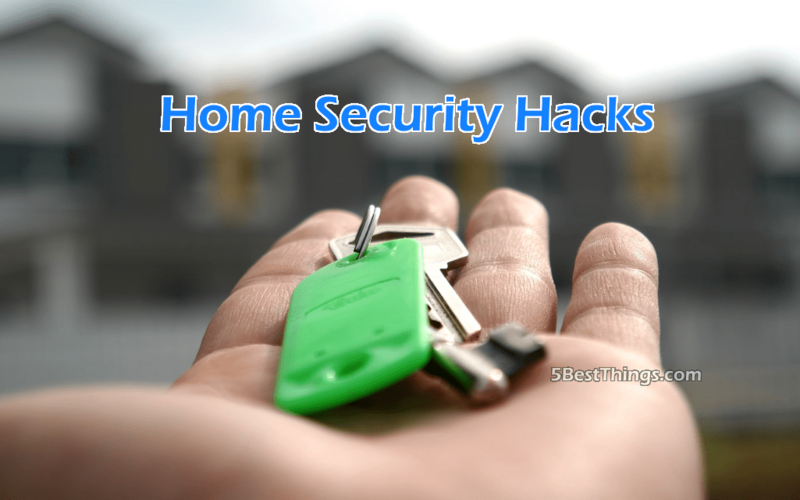 Let’s check out the best security hacks to fortify your property. When you go away for a holiday or long weekend, let a reliable neighbor know. Ask them if they can keep an eye on things. A large percentage of break-ins happen during the holidays, as burglars are well aware that many homes are temporarily uninhabited. Burglars typically case a property in advance. A diligent neighbor can also be useful in identifying suspicious individuals in the area before a burglary can occur. 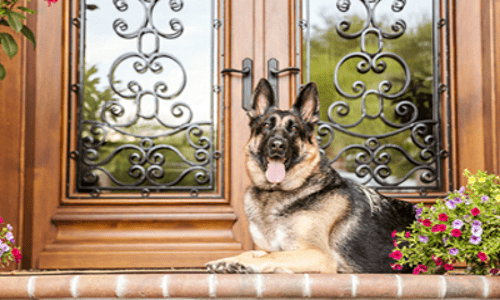 Consider a sign that warns visitors of a guard dog at the front of your property. Most people are terrified of an unknown dog, but most importantly, so are potential burglars. A simple sign can make an intruder seek an easier target. Even better than a sign is an actual dog. Every time a stranger visits your property, your dog will alert you to the visitor’s presence. This makes burglars extremely easy to detect. The likeliest result is that they will flee as soon as they hear the barking, so do not worry, you won’t need an attack dog, just a friendly new pet. Doors are obvious entry points, so put deadbolts on them. This only requires basic DIY skills, but can double the effectiveness of your doors. Also, make sure they are sturdy and undamaged. Anything that affects the structure integrity of your doors can make them vulnerable. If this is the case, then consider replacing them right away. Your habits can have a major impact on your home security. Basic habits like checking that doors and windows are closed and locked every night seem simple and obvious, but many people don’t do it. Get into a routine of doing a walkabout each night to make sure everything is secure. Make sure your children are aware of good security procedures. They should know to lock windows and doors, and be able to identify any suspicious activity. Light is an intruder’s worst enemy. Getting the best outdoor motion sensor lights can scare off would-be thieves. Simple things like leaving on the front and back door lights can also do the trick. If your entire household is going out at night for dinner or to the movies, leave the lights on in the lounge and bedrooms. This will make people think that the house is occupied. The power usage will be negligible and may prevent an expensive break in. A foolish mistake can be to leave your backup key in an obvious place. This allows a thief to simply walk right in. Hiding it under a mat, plant pot, or similar location will not cut it. Leave a spare key with a trusted neighbour. If this is not an option, then consider burying the key or find a location that no one would think to look. Never hide it near the door that it opens. You may be wealthy, or have plans to get there someday. However, your finances are not something you want burglars to know about. Parking a Porsche in the driveway makes you look like a rewarding opportunity for thieves. If you have a nice vehicle, park it out of sight in the garage. Also, keep other valuables out of view from the curb. Do not place a flat screen TV where it can easily be seen through a window. The latest technology can transport your home’s security into the future. Security cameras can now be connected to your wifi network. They can send live feeds to your mobile phone, tablet, or computer. This allows you to keep a watchful eye on your home at all times. Pay a visit to a home security store and see what gadgets they have available. Hopefully, these hacks have been of benefit to you. It is now time to put them into practice. With a few basic steps, your home will be turned into a fortress strong enough to protect your loved ones and your valuable possessions.